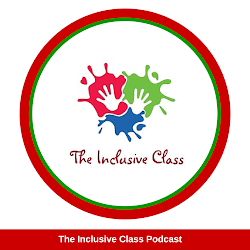 The Inclusive Class: 16 Inclusive Education Blogs You Need to Know About! 16 Inclusive Education Blogs You Need to Know About! I first wrote this post in 2013. Since then, I have come across many more wonderful blogs about inclusion that are a great resource for teachers and families! So, I'm adding another 10 fantastic blogs to this list!! With school starting in just a few short weeks, teachers and parents are thinking about the new beginnings that each school year brings. We reflect on our student’s growth over the past year and look forward to what the future holds. For me, the new school year also means finding new resources for the classroom that I can use to spur on creativity, enthusiasm and learning throughout the coming months. I can easily spend hours in bookstores and online searching for information that will help guide my inclusive practice. 1. Think Inclusive - Tim Villegas uses his experience as a Special Education Teacher to blog and promote ideas about inclusive education. Posts such as, Things I Wish I Knew My First Year of Teaching Special Education, give readers an insight into the world of special education and encourages us to see one another as all equal. 2. ParaEducate - this blog is dedicated to providing resources for paraeducators and teachers. Renay H. Marquez expertly provide practical tips that can be used in the general or special education classroom, like this series on the beginning of the school year. 3. 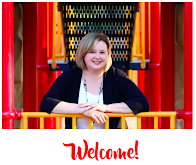 Lisa Jo Rudy on Authentic Inclusion - Lisa devotes time to this blog by writing about ways adults and kids with various learning abilities can build on strengths. She has had the opportunity to view authentic inclusion in a wide variety of settings and shares her experiences in posts such as, Inclusion Through Simplifying or Dumbing Down? 4. Removing the Stumbling Block - educator and blogger, Lisa Friedman, has helped build a synagogue special needs program from "the ground up". She believes that everyone should feel connected to his/her heritage and offers ways to live inclusively in posts like, Each One of Us Counts. 5. Beyond the Crayon - Educator Renee Laporte challenges readers to see others as equal and break down existing barriers. Looking through her blog posts, you will find other articles that explore our understanding of inclusion. Inclusion in High School Biology is a post that tells how inclusion can be done in the older grades. 6. Climbing Every Mountain - Mary Ulrich describes her blog as a base camp for parents and caregivers of people with disabilities. From her own experiences as a mother and educator, Mary has many unique stories of inclusion such as Supportive Living: What an Inclusive Day Looks Like. She also writes about other topics like advocacy and disability awareness. 7. Eliminating the Box - author, Monica Braat, is a Mom and Inclusion Facilitator to children with complex needs. 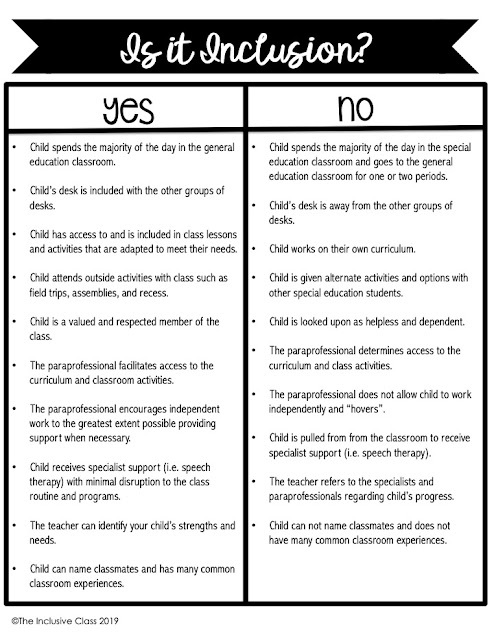 In her blog, she writes about numerous issues related to educating students with special needs. By looking at ways to include kids, Monica writes posts such as, Shame as a Barrier to Learning. 8. In-kloo-zhuhn - Brenda Giourmetakis, now a Supervisor of Inclusive Learning for a large school district, was a principal to an inclusive school. Brenda wrote posts like Empathy Needed... to share her school's journey with inclusion. She believes that all children have a right to attend their community school. 9. 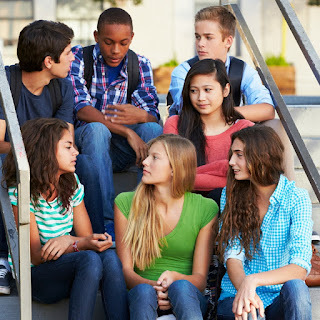 Friendship Circle Blog - this extensive blog includes resources and information on a wide variety of disability-related topics, many of which provide valuable tips like, 23 Ways to Communicate with a Non-Verbal Child. The Friendship Circle of Michigan, a non-profit organization, oversees this site. 10. Differentiation Daily - the contributor to this blog is Paula Kluth, as well-known expert on inclusive education. Packed full of tips and strategies by subject area, Differentiation Daily has posts like, Science and Stories. 11. Carolyn Coil focuses on a variety of ways to reach and teach all learners. For example, check out Curriculum Mapping and Differentiation: How They Work Together. You will also find book suggestions, videos and links to her various workshops. 12. ollibean - a site dedicated to disability-centric news and editorial pieces, however through their blog, ollibean posts articles about the world of inclusion. Self-advocates and change-makers explore and discuss a world where everyone is equal. 13. National Catholic Board on Full Inclusion is full of research and information about inclusive education. Stories, prayers and inspriational quotes give families and teachers the encouragement needed to seek inclusive schooling for their children. 14. Brookes Inclusion Lab - this site is stock full of information, articles and excerpts from inclusion authors and advocates! You will spend hours exploring resources such as printable charts and calendars, checking out available books and enjoying the beautiful graphics. 15. AZ is Amazing - this blogspot is written by AZ Chapman who gives us first-hand insight into the value of inclusive education. AZ's video depicts her journey from elementary school to college, where she earned her Bachelor's degree. Moments, ideas, reflections and photos fill this very helpful blog. 16. Blogsomemoore, written by inclusive educator, author and presenter Shelley Moore, is compiled of information about inclusive education. Shelley uses stories to illustrate her insight and experiences with inclusion. In her latest blog post, Shelley writes about the recent publication of her book, One Without the Other. Can you name any other blogs about inclusion that will be a helpful resource? If there are any readers who know Swedish or who like to play around with Google translate I have a blog about inclusion in Swedish schools: www.specialpedagogen.wordpress.com. I have noticed I do have readers in the US and Canada! Nicole, your site is a great inspiration. Thanks, Helena! I will put the word out and see if we can translate it - I would love to know more about inclusion in other countries.